As we have already asked you in the letter of acceptance we sent on 19th December, please send an-email back to us to confirm your participation no later than 28th December so that we can make a program. Thank you for your corporation. 12 Andreas Lenander Ægidius The Disappearance of Music Media – Theorizing Post-media Conditions for Control in the East Asian Music Industry. University of Southern Denmark. 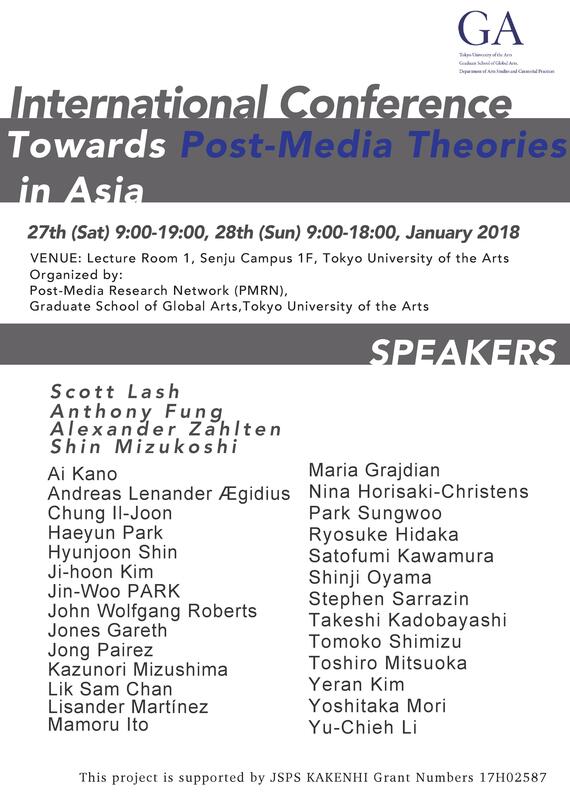 16 Kano Ai Re-finding the concept of the ‘Tactical Media’ in the post-media era in the terranian of Socially Engaged Art Tokyo University of the Arts. 18 Panel:　Nina Horisaki-Christens et al. Heterogeneous Voices: East Asian Video Art and Intermedia in the 1970s and 1980s Sophia University/ Columbia University et al.